You can install UltraSn0w 1.2.8 from Cydia. 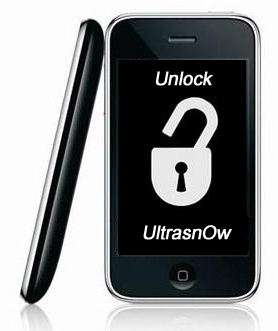 The iPhone Dev-Team has released UltraSn0w 1.25 which brings iOS 5.0.1 support to the unlock for older compartible basebands. UltraSn0w 1.2.5 is now available in Cydia. If you have one of the supported basebands and wish to update to iOS 5.0.1 you will need to do so with a custom ipsw that doesn’t update your baseband. UPDATE: official ultrasn0w with iOS 5.0.1 released! This tutorial is for those users of locked iPhone 3GS and iPhone 4, who updated to iOS 5.0.1 and realized that ultrasn0w unlock doesn’t work there. If have one of the above baseband version and need unlock you can upgrade to iOS 5 without updating your baseband using RedSn0w 0.9.9b5. We’ve updated ultrasn0w to be compatible with iOS5, which came out a few days ago. While ultrasn0w 1.2.4 (available now in Cydia) doesn’t add support for any new basebands, the update is required for any ultrasn0w unlockers trying out iOS5 (it remains backwards compatible though, so you should be able to use it no matter what firmware you have). The supported basebands for the iPhone 3G and 3GS are 04.26.08, 05.11.07, 05.12.01, 05.13.04, and 06.15.00. The baseband supported for the iPhone4 is 01.59.00. Remember, the only way to get to iOS5 while preserving your ultrasn0w-compatible baseband is by using a custom IPSW. redsn0w now has the ability to create such a custom IPSW for you (at least on Macs…the same capability for Windows will be coming soon). Note: there’s a special “trick” that iPhone3GS owners with baseband 06.15 need for iOS5. During the new setup screens you see when you start iOS5 for the first time, you’ll be asked about Location Services. Be sure to select “Disable Location Services” when asked! Later on in the setup, you’ll have the chance to turn on Location Services again when asked if you want to use “Find my iPhone”. It’s fine to turn it back on at that point, if that’s your desire (or you can always go in and enable it in Settings.app). Also, some iPhone3GS users with the 06.15 baseband may have tried to install iOS5 using a stock IPSW (even though you should never ever try to use a stock IPSW if you’re an ultrasn0w unlocker). If you did try this, your baseband is probably in an inconsistent state, and you’ll need to reflash the 06.15 baseband again (using redsn0w). Be very careful if you use redsn0w to reflash the iPad baseband — don’t interrupt the process! And please avoid using stock IPSWs in the future Unlockers should never go near stock IPSWs. This means that users have to wait more. No due date was given. If you need unlock just remember to save your SHSH keys using Cydia or TinyUmbrella and do NOT update to iOS 4.3. This news are for users with locked iPhone 4 with baseband 02.10 or 03.10, iPhone 3G/3GS with baseband 05.14 or 05.15. For 05.14 and 05.15 there is a possibility to update to 06.15 and unlock, but there are special risks.